If you’re anything like me, the skin on your body is completely different to your facial skin. As a teenager with oily, spotty skin, I had legs as dry as the Sahara Desert. They were so dry that unless I smothered them in a moisturiser every single day, I had crocodile skin. Ok, so I was living in Africa and sunbathed at the hottest time of the day at every given opportunity, but even so, this skin was DRY. This routine has stayed with me ever since. Every day after my shower, I religiously use a cream to moisturise my whole body. The legs aren’t quite as dry as my sunbathing days but they still seem to need copious amounts of moisturiser. After all these years of dedicated creaming, I was therefore rather alarmed to notice that my skin was looking very dehydrated and dare I say, old? I tried using larger amounts of cream but to no avail. My facial skin, which is exposed to the elements, doesn’t look like this, so what’s going on? And then it occurred to me. I always advocate using serums and oils on the face instead of moisturisers, as they absorb and replenish skin much better. Why on earth would I not do the same to my body? Duh! And so I began to experiment. I found a lovely bottle of body oil by Weleda in my local store and got results instantly. I then started researching and to my delight found that the market is full of the most divine body oils. All natural, filled with gorgeous, nourishing ingredients and my skin was transformed almost overnight. Below are all the wonderful oils I’ve tried so far. I honestly can’t say which is my favourite as they are all divine. They all absorb really quickly (you can put clothes on immediately), are non sticky and smell fresh and lovely. My skin looks so much better, I can’t quite believe it. Weleda Body Oil – I used the Sea Buckhorn Oil but there are many others to choose from. Seems quite thick but absorbs instantly. Balm Balm – One of my favourite brands because of the high quality organic ingredients and reasonable pricing. Their oils come in a whole range including Balance, Indulge, Relax and contain ingredients like ylang, ylang, peppermint, clary sage etc. Their oils are always super light. Joik – I used their sweet almond & olive body oil with citrus essential oils. The smell is fresh and slightly sweet and this oil is very nourishing. They also have lots of other lovely oils including an anti-cellulite one. 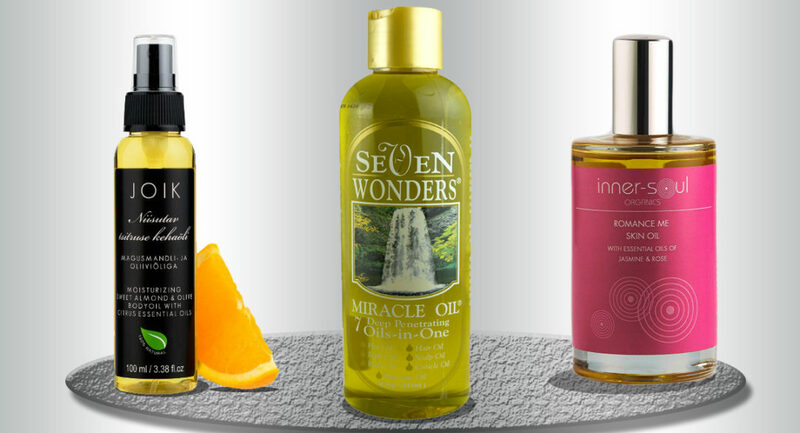 Seven Wonders Miracle Oil – so called for the fact it can be used for EVERYTHING. Bath oil, body oil, scalp and hair oil, hot oil, cuticle oil and massage oil. Quite a fruity, sweet smell and filled with all kinds of plants and herbs from slippery elm bark to sesame seed oil to black walnut (to name only a few). A very useful little oil indeed. 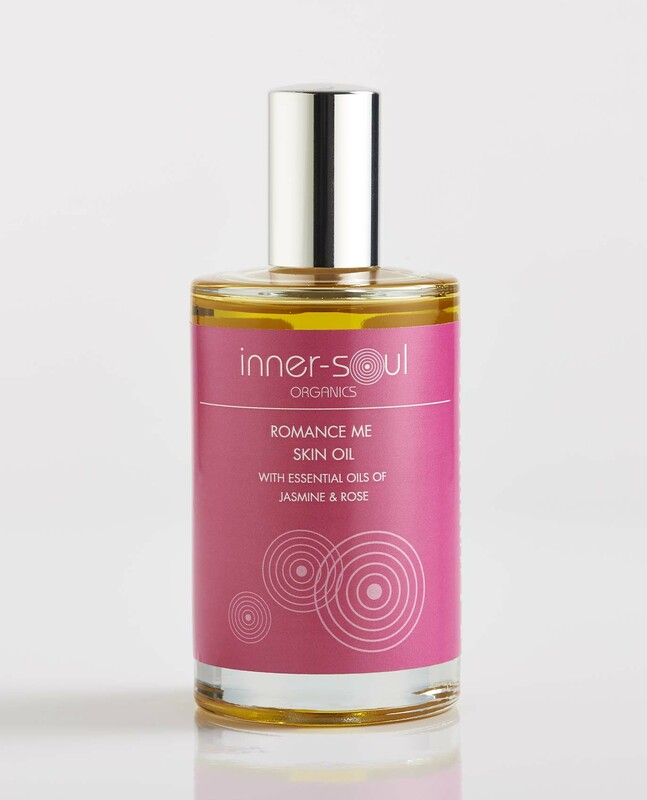 Inner- Soul Romance Me Skin Oil – contains jasmine and rose essential oils and has one of my favourite smells. 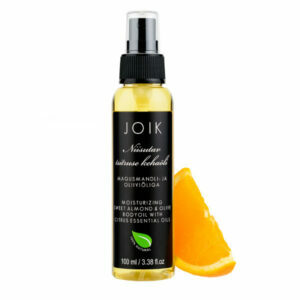 Also contains sweet almond, sesame and jojoba oils. Totally divine. Bon Liquid Gold Tissue Oil – can be used on face and body. Especially formulated to help with scars and stretch marks. Great for wrinkles and dehydrated skin. Contains vitamin E, rose hip, grape seed and avocado oils. I’m so pleased to see this because I’ve noticed my body skin getting dryer. Sadly I don’t moisturize as much as I should and because of not feeling so good haven’t been looking after myself. After just 1 week on In-Synch my mood is brighter, my letherary lifting and am ready to start looking after myself again. May just treat myself as I prefer oils to lotions. Thank you! In your article ‘An Easy Way To Revitalise Your Skin’, you said that you advocate using serums and oils on the face instead of moisturisers. Does this mean that you don’t use a daily moisturiser except sunscreen on top of the serum or oil every day? Please could you advise about this. Also, do you use body oils instead of body lotion/moisturisers? Yes I’ve done several articles about my use of serums and oils, so no I don’t use a moisturiser on my face. Look under articles and you’ll see the brands I recommend. And as mentioned in the article you refer to, I’ve now started using body oils instead of moisturisers. I find this has hugely improved my overall skin.